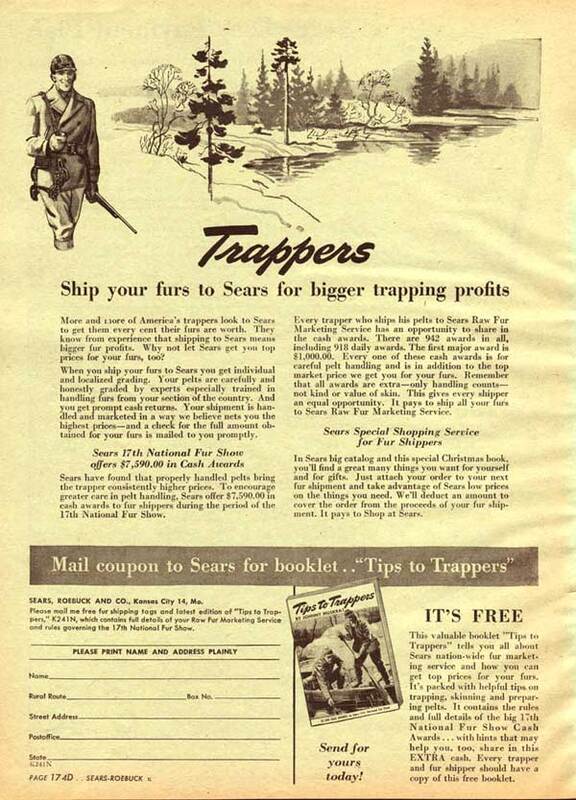 Advertising » Trappers: Ship Your Furs to Sears & Get Extra Cash! I came across this gem of an insert in the 1943 Sears Christmas catalog. 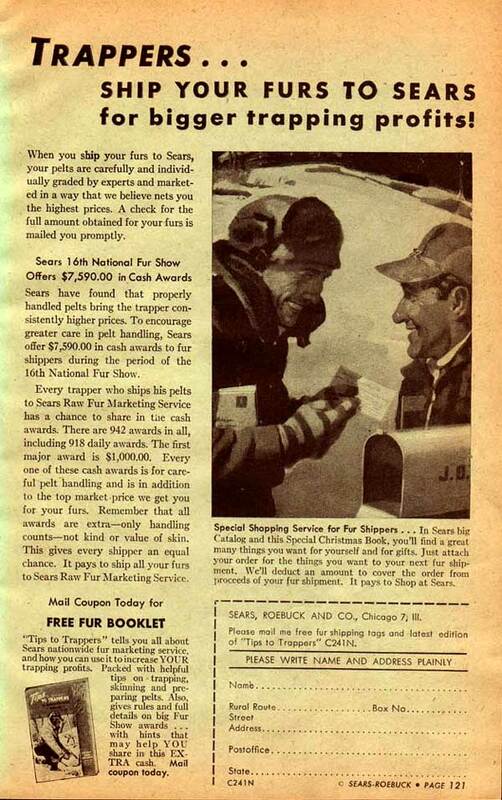 In addition to paying you for the furs, they would give extra bonuses to people who would send them top-notch furs. They obviously turned around and made clothing out of these furs. Imagine the backlash if this were offered today! 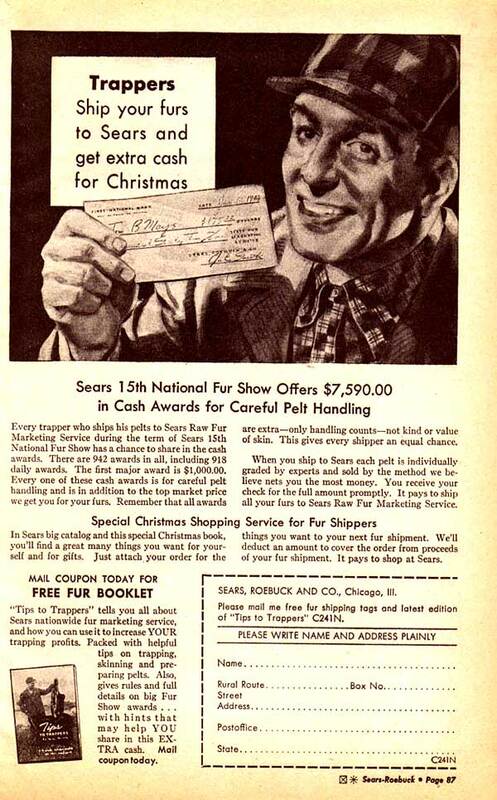 Every trapper who ships his pelts to Sears Raw Fur Marketing Service during the term of Sears 15th National Fur Show has a chance to share in the cash awards. There are 942 awards in all, including 918 daily awards. The first major award is $1,000. Every one of these cash awards is for careful pelt handling and is in addition to the top marketin price we get you for your furs. 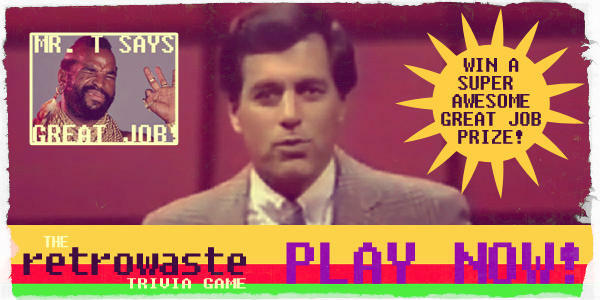 Remember that all awards are extra – only handling counts – not kind or value of skin. This gives every shipper an equal chance. When you ship to Sears each pelt is individually graded by experts and sold by the method we believe nets you the most money. You receive your check for the full amount promptly. 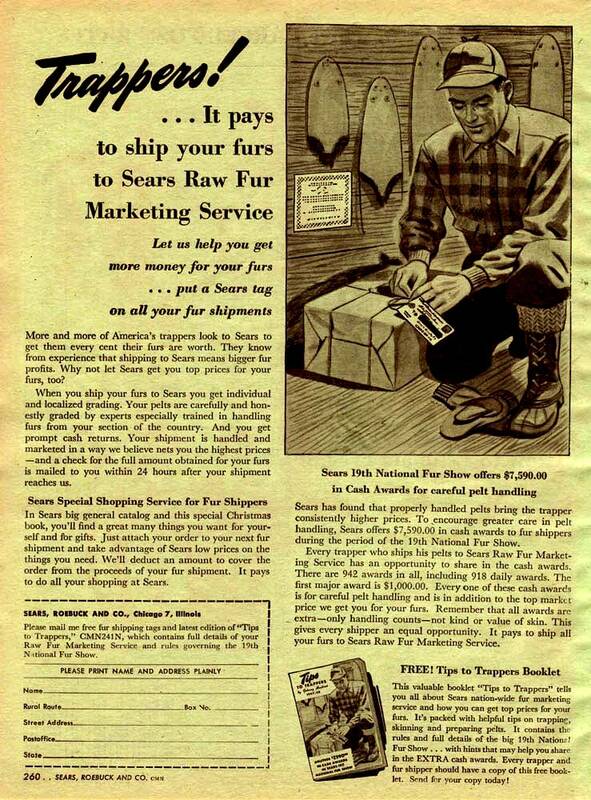 It pays to ship all your furs to Sears Raw Fur Marketing Service. 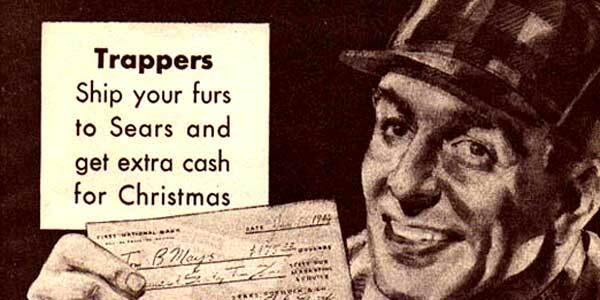 They also offered a free fur booklet that gave tips on how to increase your trapping profits.